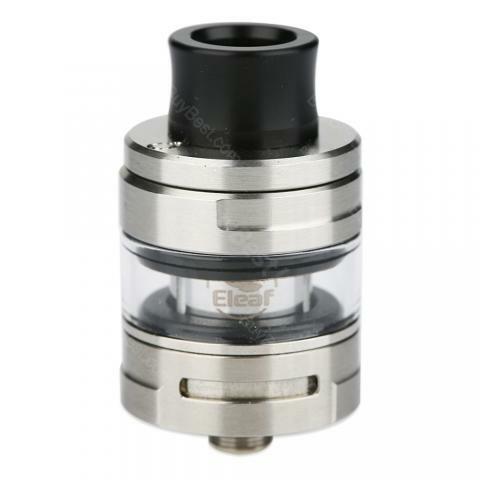 Perfectly compatible with the iStick Tria MOD, Eleaf ELLO S is a newly designed sub ohm tank from ELLO atomizer with 2ml e-juice capacity(a 4ml extra glass tube included) and 25mm diameter. With powerful all HW series coils and precise adjustable bottom airflow control, ELLO S atomizer will bring you an incomparable vaping with huge cloud. The Eleaf ELLO S is a powerful subohm tank inheriting from the ELLO atomizer family with all HW series coils to meet your different vaping needs and bring you optimal flavor with huge cloud. Moreover, ELLO S atomizer comes with 2ml e-juice capacity(a 4ml extra glass tube included) to meet your daily vaping needs and 25mm diameter which is compatible with most box MOD. What’s more, with the convenient retractable top filling system and precise adjustable bottom airflow, the Eleaf ELLO S is absolutely a great tank for cloud chasers. Perfectly compatible with the iStick Tria MOD. Just get ELLO S to enjoy amazing vaping. • You can select the e-juice here. • Perfectly compatible with iStick Tria MOD. Schnell aufladbar, schönes handling einfach zu bedienen und sieht wirklich klasse aus. Sehr schönes Produkt aus Eleaf. Eleaf ELLO S Tank is pretty good. The best tank I ever used, like it! !